so much secrecy around this film as well as if it's true that he will star as Luke Skywalker 18 years into the future. "2004 or something. But he's(George Lucas) being very cagey about it. He says it may take place in another plane of existence or will not be the same kind of character. I can't really explain why without getting into sensitive material." ---- Jeff Bruette has created Amiga graphics for "Max Headroom", "Amazing Stories", "Secrets & Mysteries", "Coca Cola", and "Oingo Boingo". Videowest is best known for creating a new genre of video journalism, widely acclaimed as a "worldview from the rock generation" in the early eighties. 1978 to 1984. Its award-winning weekly series (Backstage Pass, Best of Videowest, Rock On, Take Off) were released on a variety of broadcast and cable outlets including ABC, BBC, Disney, MTV, Showtime, USA and public TV. Videowest's creative trademark was a fast-paced montage of interviews, comedy, music and news around weekly themes like "Beauty" or "TV" (see sample videos in the sidebar). Over the years, Videowest featured hundreds of popular artists like Laurie Anderson, Ray Bradburry, the Clash, Francis Coppola, Elvis Costello, Devo, the Ramones, REM, U2 and many more. Videowest started as a grassroots movement, with thousands of young volunteers joining forces to create "television for the rest of us." Founder Fabrice Florin spearheaded that community as a labor of love, inviting viewers to help produce the weekly shows. He was joined by Lee Callister, Joe Dea, Wes Dorman, Jeff Nemerovski, Erik Nelson, Michael Branton and hundreds of regular contributors, leading to many successful careers in the film and TV industry. This program made in 1995 looks at "non-linear" editing when it was a brand new technology. "Evening/PM Magazine" was a half-hour local program that was in production at many stations from the late 1970s through the early '90s. The show pioneered the use of small-format videotape field equipment and electronic editing to tell stories about local people, places and things. The program was known as "Evening Magazine" at the five Group W stations (Baltimore, Boston, Philadelphia, Pittsburgh and San Francisco) and "PM Magazine" on other stations where it was franchised. "Evening/PM" was seen on over 100 stations at it peak, and usually aired at either 7:00 or 7:30 P.M. This 1981 segment from WBZ-TV's "Evening" illustrates how a typical story was produced using the television technology of the era: Sony 3/4-inch videotape decks, Ikegami HL-79 field camera, Datatron edit controller, Grass Valley Group 1600 switcher, and RCA TR-600 quadruplex VTRs. Consolidated Visual Center Animation, Motion Graphics and Effects Show Reel circa 1982. Interviews with Digital Artists Rebecca Allen & Victor Acevedo. Hosted by Stephen Jerrom. Originally aired in September 1990. Patric Prince and artists: David Em, Rebecca Allen and Victor Acevedo taped interviews for the show as part of the media coverage for ART 1990. ART 1990 was a digital art exhibition mounted at EZTV Gallery September 1 through October 31, 1990. Curated by Art Historian Patric Prince,it was produced in collaboration between L.A. SIGGRAPH and EZTV as part of the Fringe Festival / Los Angeles. Patric Prince & David Em are interviewed in part 1 -- you can see it here: http://www.youtube.com/my_videos_edit. I designed the lighting, operated the camera + video fx as well as design Geneva Jacuzzi's costume, complete with light-up bra. ''On The 8th Day'' is chilling, a result entirely consistent with its aim. The one-hour documentary explores the possible ecological and atmospheric consequences of nuclear war, particularly as they would be expressed in a ''nuclear winter.'' Darkness would shroud the Northern Hemisphere; temperatures would fall. The planet would survive, but not as a hospitable place. ''On the Eighth Day'' was originally produced for the BBC as part of the series The Natural World, and aired in the United States on cable station TBS on January 14, 1985. Interview at André Perry Video, a post-production house that did a lot of the TV show intros in Montreal. Affiliated with Le Studio Morin Heights. 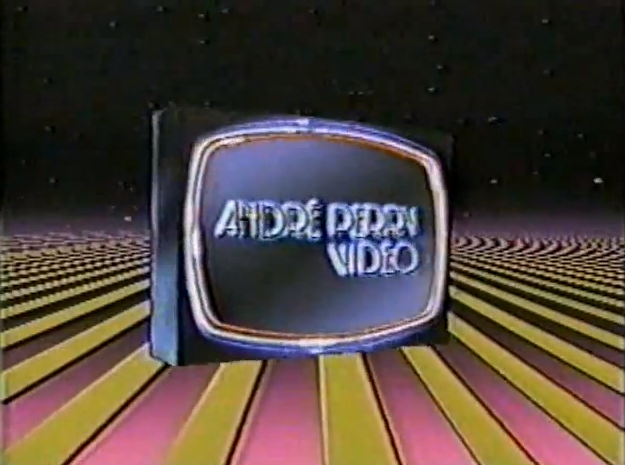 Broadcast on Cable 9 Montreal in 1984. Parts 1 and 2 are from the UK Channel 4 series "283 Useful Ideas From Japan" first shown in 1990. This episode is about computer artist Yoichiro Kawaguchi. 'Electric Avenue' is a program produced by the BBC 1988. This series was a late-night follow on from Micro Live broadcast in 1988/89 and presented by Fred Harris. This episode deals with a variety of subjects, including home computers in business, early DTP, stock control and distribution, and computers used in the oil industry. Interview conducted by Louise Etra. 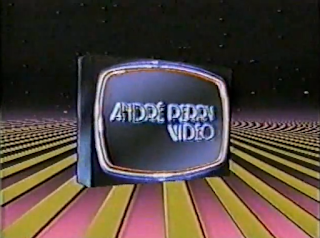 WTV was showing "Voyage" in the Art Show in 1982. WTV was comprised of Vibeke Sorensen, Tom DeWitt and Dean Winkler. See http://www.youtube.com/user/dean358 for WTV works. Thanks to Copper Gilloth for archiving the video. Video Toaster User presents "Beyond the EDGE"
Wil Wheaton hosts "Beyond the Edge" and presents a survey of the latest in video production, circa 1993. Dan Schein takes you through the Commodore-Amiga offices and introduces all the important people who created this wonderful computer. Severed Heads on ABC Australia in 1986. Tom Ellard demonstrates how to make music with watermelons and Stephen Jones demonstrates his homemade video synthesiser.